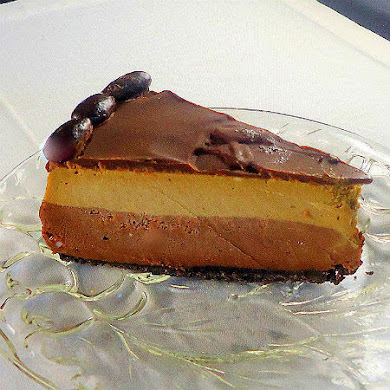 From the kitchen of One Perfect Bite...This is a lovely cake, but to my great surprise, I haven't been able to find it on other blogs or recipe sites. 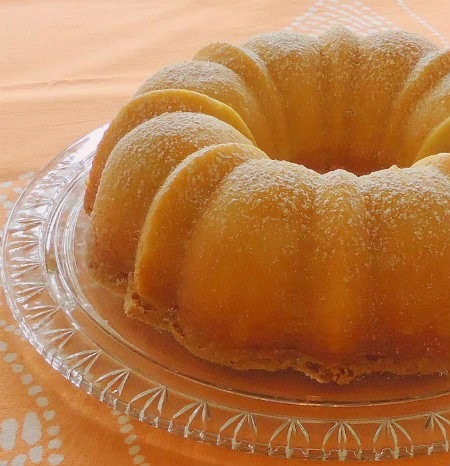 It was developed for Gourmet magazine ages ago, and, while this gorgeous pound cake should be manna for lemon lovers, it seems to have fallen into obscurity. Pound cakes were traditionally made with a pound of each of flour, butter, eggs and sugar. 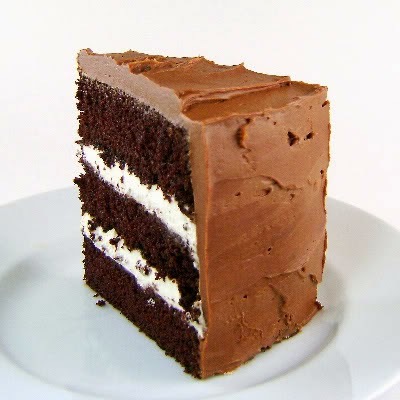 Nowadays, ratio, rather than weight, defines this classic, and any cake made with ingredients in a 1:1:1:1 ratio is considered to be a pound cake, regardless of its component weight. If you are interested, more detailed information about this type of cake can be found here. Pound or butter cakes get their lift from a combination of butter, eggs and baking powder. They are heavier and richer than sponge cakes and they are also easier to make. They are not foolproof, but if you measure your ingredients carefully you should have a lovely cake to serve your family. We'd all have better and more consistent luck with our baked goods if we weighed our ingredients. Unfortunately, most of us do not yet do that. 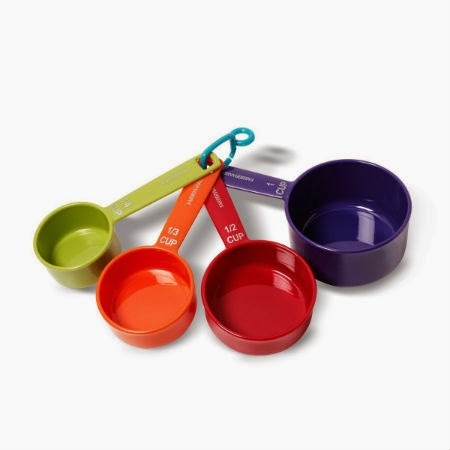 When I prepare dry ingredients for baking, I spoon rather than scoop them into a measuring cup. I also level the content of the cup with the back of a knife rather than my fingers. When you look at the ingredient list for this cake, you will undoubtedly notice that it calls for 1/4 cup lemon zest. That is not a mistake. Five large lemons will yield that amount of zest, but a caution must be issued here. Make sure you avoid the white pith when you zest the lemons. The pith will make the cake bitter and its after taste can be downright unpleasant. Your cake will probably need more time in the oven than the recipe suggests. Mine required an hour to bake. This is a wonderful cake for lemon lovers and it makes a perfect base for macerated fruit. When the recipe was published, it was suggested that the cake be served with strawberries. While it's delicious served that way, I actually prefer to serve it with a blueberry or blackberry compote. Perhaps that's an unconscious homage to the state of Oregon. I hope you'll try this recipe. I love this intensely lemon-flavored cake. I think you will, too. Here's the recipe. 1) Move a rack to the middle of oven. Preheat oven to 325 degrees F. Butter and flour a kugelhopf or other 2-quart bundt plan. Set aside. 2) Whisk together flour, baking powder and salt in a bowl. Set aside. 3) Using paddle attachment, beat butter, granulated sugar and lemon zest in the bowl of an electric stand mixer at medium speed, until pale and fluffy, about 2 to 3 minutes. Add eggs one at a time, beating well after each additin. Beat in vanilla. Reduce mixer speed to low. In three batches beginning and ending with flour, add flour, alternately with milk and lemon juice, and beat just until combined. 4) Spoon batter into pan and smooth top. Bake unil cake is golden brown and a cake tester inserted in several placed comes out clean, about 45 to 55 minutes. Cool cake in pan on a rack for 15 minutes, then invert onto a rack to cool completely. 5) While cake cools, whisk confectioners' sugar into lemon juice in a small bowl until smooth and thick. 6) When cake is cool, set rack over a baking sheet or waxed paper. Drizzle glaze over cake, letting it drip down sides. Serve cake with fruit if desired. Yield: 10 to 12 servings. Had lemon butter cake before...but not pound cake...the cake looks so moist and great! I love lemon pound cake, and this one doesn't look too harrd. I also love marble pound cake, but it always seems to be too dry compared to lemon and regular! This sounds so lemony! I'd love this pound cake with any fruit, but I think blueberries would be divine. Thank you for visiting and commenting on my blog...it's been getting mighty lonely here! I've fallen off regular posting and have lost my mojo! You have a wonderful blog! Love the photo! I do so love lemon pound cake! I will be bookmarking this one for sure! thanks for sharing! Wow! I will definitely be making this. I love lemon desserts & you cake looks so beautiful, too! Lemon cake is always my favourite...just love the lemon smell and taste. It's so refreshing. Thanks very much for sharing the meaning of pound cake. Hope you have a wonderful day. Wonderful photos. I remember making pound cake with my Mum when I was in primary school. Don't think I've made one since though. I'm bookmarking this recipe so I can bake it when the opportunity presents itself! Being a big fan of almost ANYTHING citrus, this looks sensational! I love lemon pound cake. Actually anything with lemon in it has my vote. Love citrus bakes very much,cake looks extremely beautiful..
Oh I just love pound cakes. Your cake looks wonderful. One of my favorite pound cakes is a 5 flavor one. I love that they are fairly easy to make, pretty and go a long way. Love lemon anything and a pound cake is one of my favorites! I love a good pound cake and since lemon is my chocolate this recipe is at the top of the list the next time I make something sweet. 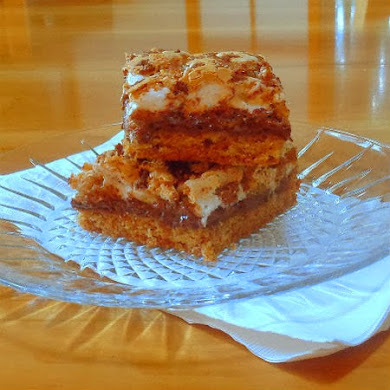 MAry..you cannot imagine how happy I am to find this recipe on your blog today!!! The cake looks really beautiful. I have to admit that Gourmet Mag does has quite a number of great recipes there. Thanks for sharing it & have a great day. Yum! What a great pound cake with that delicious lemon flavor. This is a must try! 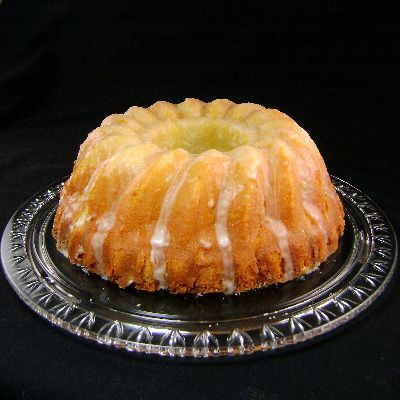 I LOVE lemon pound cake...yours looks so lovely, I know I could eat the whole cake! Good tip on the zesting of the lemon too, I always forget to mention that in my recipes! Because I'm a huge lemon lover I know that I will love this cake. Next time I want to make a cake, I will definitly think about this one! I'm addicted to ANYTHING lemon, and this is right up my alley!! So glad you posted it!! I have a blueberry compote in the freezer that would be great with it! I love lemon pound cake. The lemon just gives that something extra to an already delicious cake. Your is beautiful! Mary, you always share valuable tips and great recipes, thanks. Five lemons? Perfect! I've rarely met a poundcake that I didn't like--or anything with lemons to flavor. It is the one cake that I don't mind "falling"--creating some denser areas. My sisters and I learned this from our grandmother--except she meant for us not to jump around and cause the cake to fall. We reversed that "recipe". I'm pushing "print". Beautiful! One of my favorite simple baked goods! Wow, that is a lot of lemon zest but what flavor! Ina makes a great lemon pound cake too! I will have to try this version next though! I have a few lemons in my fridge this cake sounds like a lovely idea to use them. Mmmmmm; this looks delicious, but I think I'm gonna' lean more towards having the Crock-Pot Greek-Style Beef Stew. I can almost taste it. Love anything citrus! Your cake looks beautiful. Bookmarking this, thanks for the recipe. Have a lovely day! 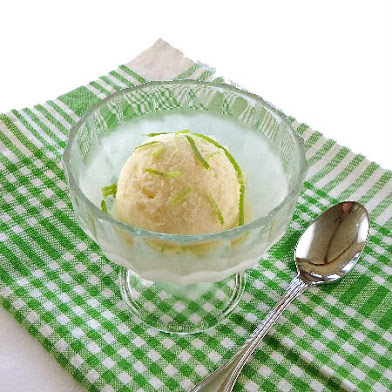 I love lemon-y desserts -- this looks beautiful! Pour me a glass of iced tea and I could eat the whole thing! this is one of my very favorite things to eat! wonderful. YUM! This looks so great! This is just what I'm looking for, Mary. I want a pound cake with lots of lemon flavor and tried a recipe a few days ago that was a dud. As soon as I buy more lemons I'm all set to bake it. Wow - beautiful pound cake. I'll be making it later this week for sure as we've still a bunch of Meyers left on our tree. Can't wait to enjoy a slice! I don't think I've ever had lemon pound cake, but I love the sound of it! Your idea of serving it with blueberry compote sounds perfect, Mary! Mmmmm I love lemons and I like the copious amounts of lemon zest you used. I don't blame you for serving with with a forest berry compote. I wouldn't have it any other way! I love lemon pound cake! This one looks fabulous. I'm one who has made the switch to weigh flour when I'm baking. It's so easy if you have a scale. Before I started using a scale, I used your method of lightly spooning the flour into the cup and leveling with a knife. It always seemed to work for me. Ah, I never knew how pound cake got its name. Fun. Mary, this sounds like an amazing recipe--I'm a true lemon lover, and I think this pound cake might just be the one I've always been looking for! This looks like health food to me! Yum. MMM! I love lemon cake! It reminds me of summer and sunshine- Something I am craving on this cold rainy day! I can almost taste this cake. What a perfect cake for lemon lovers, a pound cake with the magic of citrus. If I didn't think I'd eat the whole thing, I'd bake one right now. I just got the mould for pound cake. I bookmark your recipe. Thanks for sharing! I am a total lemon lover. Where has this cake been all my life? It must have gotten lost in the ether somewhere...thanks for rediscovering it for us! Oh I love lemon pound cake! Great recipe! I love pound cake. I haven't had it in ages. I wanted to pop back in, Mary, to thank you for your ever sweet and thoughtful comments on my blog. You are also funny . . . you really got me laughing today . . . about me being a good baker for an MK. I have been laughing all morning. Thanks. oh my goodness, i LOVE lemon cakes. all i need is that cake and a fork :) it's gorgeous! OH WOW!!! one of my hubby's favorite. I think I will have to make this for him soon!!! THANKS!!! for stopping by and visiting and leaving a NICE comment. looks yummy .. i made lemon mint cake .. have to try yours too . Thank you for your visit to my blog and for your comment. I have tried pound cake before and there is just something so comforting about it that you don't get with any other cake. It looks lovely. Very interesting that they are called pound cakes because of the ratios. Lovely cake! I'm so glad it's citrus season! I'll have to tuck this recipe away to use. Thanks for sharing. A lovely cake, Mary. My mother use to make a 7 Up pound cake that I still make anytime I need to feed a crowd. It's huge. Many the same ingredients and I do a light lemon glaze for it. Now this is a classic, elegant and delicious cake that everyone needs in a moment of lemon craving. Love the mold you used too. Such a beautiful cake Mary. I made a similar recipe a couple of weeks ago, but my photos were not to good. But lemon pound cake is awesome. Your's looks moist and delicious! Ooh, this would be just heaven! I love pound cake and I love lemon cake and lemon bread. I think I have misplaced my lemon bread recipe now that I mention it. Such a beautiful cake presentation. Yum, it would be gone in no time! This looks so tempting! I never turn down a good pound cake. One of my guilty pleasure breakfasts is a grilled slice of poundcake. Oh my goodness - that looks and sounds fabulous! I love lemon pound cake, this looks fabulous! I love a good pound cake. Very satisfying. Mary,this is a beautiful cake. I love lemon cake. 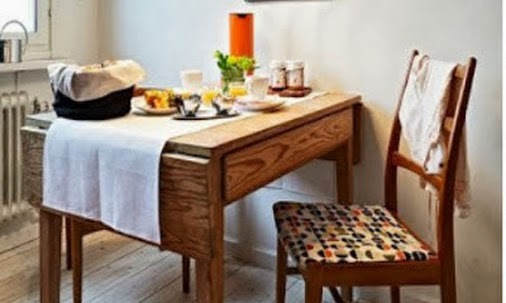 Your blog is beautiful and inspirational. This looks just delicious. I love pound cakes, and I'm sure the lemon adds the perfect amount of brightness.I also like you suggestion of bluberry compote. Thank you for sharing all of this yumminess. I hope you have a great Friday. The weekend approaches! Mary, I'm begging, pleading, stop tempting me so...I adore anything with lemon. 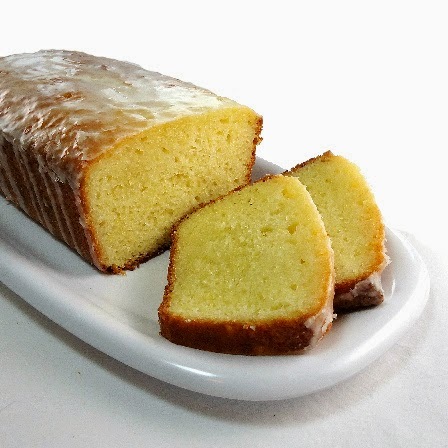 Pound cake is one of my favorites, then to add lemon, it's just too much! Oh man does that look delicious Mary. All shiny and lemony luscious looking. What a beautiful-looking cake, Mary. I would love this - lemon cakes are my favourite and this seems a nice, simple recipe. I look forward to trying this out when I'm next in the mood for lemon cake! That cake is absolutely gorgeous! We'd love if you could enter it into the Recipe4Living 5th Birthday Contest! You could win a huge gift basket full of Scharffen Berger gourmet chocolate! That is one PERFECT cake! Wow! Love it! I just made lemon poppyseed muffins. Love alot of lemon flavor in them. Am going to post about it tomorrow. Made this yesterday with Meyer lemons and it is an incredible cake! Thanks for sharing the recipe with us Mary. It certainly didn't disappoint. I'm so glad to find this recipe! Last week a friend came to MY dinner party with a lemon dessert somewhat requiring me to serve it despite my own plans. In two weeks we are going to his house so I will bring THIS. Ha! You are a life saver. I made these pound cakes for our Farmers Market this past summer. Let me just say, they are fabulous! I made them into small loaves, and sold out every week! This recipe is a keeper! Thanks for sharing! This is the best lemon pound cake that I have ever made; I am NEVER looking for another recipe, this is 'the one'.